Dr. Ashford has practiced in Jackson, Mississippi since 1980 and moved his practice to Madison in April of 2014. He has performed over fifty thousand major intraocular surgical cases, including Cataract IOL, Lasik, DSAEK, and glaucoma procedures. He frequently flies to visit other surgeons to learn the very latest techniques. Topical (no needle), suture-less (no stitch) cataract surgery was introduced to the Jackson area by Dr. Ashford in 1993. 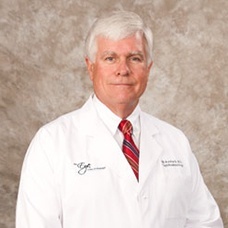 Dr. Ashford graduated from the University of Mississippi Medical School in 1975 and completed a Corneal Surgery Fellowship at Baylor College of Medicine in 1980. He was Board Certified by the American Board of Ophthalmology in 1981. He is a member of the AMA, the American Association of Ophthalmology, the Central Medical Society, Mississippi State Medical Association. He is a Diplomate—American Board of Ophthalmology and a Fellow—American Academy of Ophthalmology. Dr. Ashford is married to the former Leslie Driskell of Brookhaven, MS and has three children - Emily, John Clay and Daniel. 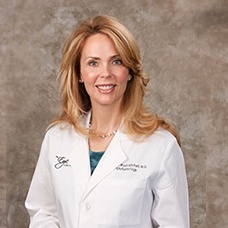 Board certified in ophthalmology, Dr. Mitchell has been in private practice since 1997. In addition to comprehensive eye exams, she treats patients with glaucoma and performs cataract surgery. Dr. Mitchell specializes in advanced anterior segment surgery and has a decade of experience with multi-focal implants and LASIK. She also administers therapeutic botox. Dr. Mitchell graduated from the University of Mississippi Medical School in 1993 and completed her residency at the Medical College of Georgia in 1997. She is Board Certified by the American Board of Ophthalmology. She was a key member of Eye Physicians & Surgeons of Augusta in Augusta, GA from 1997-2000 and then served at Southern Eye Associates in Memphis, TN from 2000-2003. In 2003, she joined the team at Eye Group. She is a member of the AMA, the American Academy of Ophthalmology, American Cataract & Refractive Surgeons, the International Society of Refractive Surgeons, and the Mississippi Medical Association. Dr. Mitchell is married to Dr. Joseph Blake Mitchell and has two daughters—Kallen and Mira. Dr. Kevin Kosek is from Huntsville, Alabama. He was Chief Resident at the University of Mississippi Department of Ophthalmology (March-May 2010) and Chief Resident at the Department of Veterans Affairs Hospital in Jackson, MS (Nov 2009-Feb 2010). Dr. Kosek is a member of the Mississippi Association of Eye Physicians and Surgeons, the American Academy of Ophthalmology and the American Society of Cataract and Refractive Surgeons. 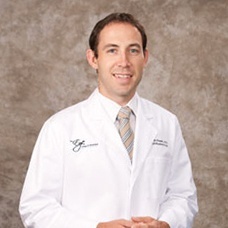 Dr. Kosek graduated from the University of Alabama School of Medicine in 2006 and served his internship and residency at the University of Mississippi Medical Center from 2006-2010. He is Board Certified by the American Board of Ophthalmology. He specializes in cataract surgery, including premium lens replacement and Z-LASIK. He is married to the former Kim Zarzour of Huntsville, AL, and has four children—Kate, Jack, Joseph, and Leo.